Variable-frequency drive manufacturer ABB recently undertook a facelift of it's 147,000 square-foot manufacturing facility in New Berlin, WI. Frankly, with continued growth in sales for their variable frequency drive (VFD), along with the addition of new products — such as medium voltage drives, electric vehicle charging stations, power electronics, and controls products— ABB just outgrew the existing building. Company officials wanted to develop a building that not only met today’s needs, but also one that would be compatible with future requirements. Words such as “green,” “LEED Silver,” and “sustainable” were not simply buzzwords, but were instead used as a roadmap on this project. The existing design of the facility's HVAC system dated back over 30 years. There was no central plant or building automation system (BAS) and most control was independent. Monitoring, maintenance, and troubleshooting were all done the old fashioned way. In order to deal with this and the many other challenges that come with an aging system, ABB sought to design a highly intelligent and flexible building. The final design included a BACnet communications environment that plays a critical role in both monitoring and control of the new system with nearly every device in the HVAC system. 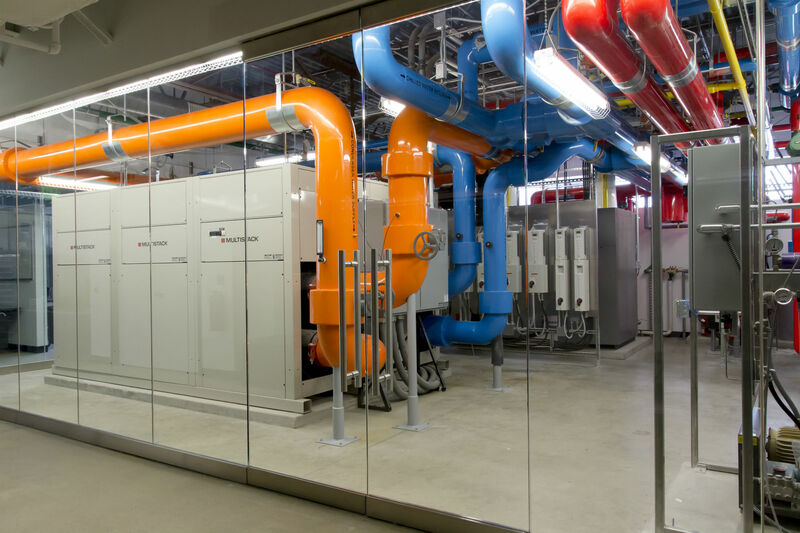 The HVAC system is designed such that the chiller will make ice (thermal storage) during off-peak summer hours to take advantage of low utility rates. The automation system optimizes the chiller by monitoring the building’s energy meter, trending performance, outside air temperature, water temperature, ice levels, etc. The chilled, condenser, and hot water systems are all designed as N+1 systems. This means there are two VFDs and two pumps instead of a single VFD and pump. If a VFD, motor, or pump were ever to fail, the BAS would seamlessly switch over to the back-up system. You can read a complete case study on this application on the Bacnet International website.